The Recliners Low Leg Retro Accent Recliner by American Furniture at Miskelly Furniture in the Jackson, Pearl, Madison, Ridgeland, Flowood Mississippi area. Product availability may vary. Contact us for the most current availability on this product. Fabric Options Recliners Available in Upholstery Options Shown. Select Recliners May be Available in Additional (Un-Pictured)Upholstery Options. 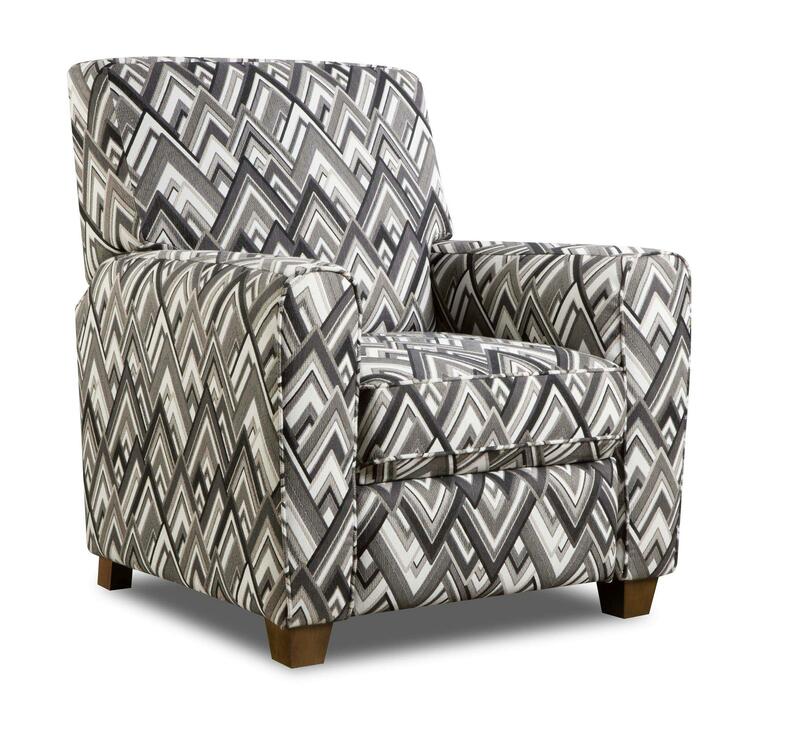 Complete your room with this decorative collection of accent recliners. Designed to be used with existing furniture groups, these recliners feature a relaxed comfort with unique styles that can be eclectically blended with a variety of home styles. From smooth cottage frames with traditional accents to plush casual styles, this reclining accent chair group will create an eclectic arrangement of living room fashion. The Recliners collection is a great option if you are looking for Transitional furniture in the Jackson, Pearl, Madison, Ridgeland, Flowood Mississippi area.